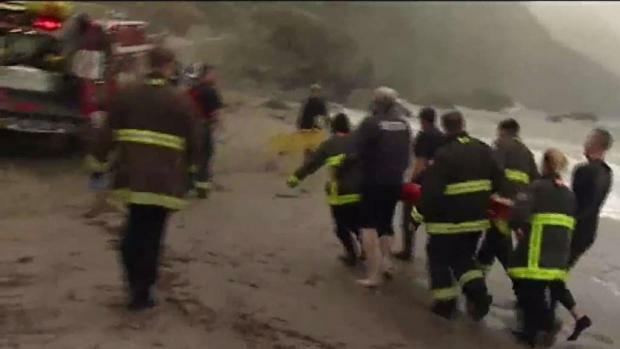 A teenager died Thursday after falling 50 feet off a cliff in San Francisco's Lands End, according to the city's fire officials. The San Francisco Medical Examiner's Office identified the 17-year-old as Victoria La Rocca of Corte Madera. La Rocca attended St. Ignatius College Preparatory in San Francisco and would have graduated in 2018. The school sent out a letter informing parents about La Rocca's death. A teenage girl died after falling over a cliff near the Legion of Honor in San Francisco, according to the San Francisco Fire Department. Sergio Quintana reports. "It is with great sadness that I write to you of the tragic death of Tori La Rocca '18," the head of the school wrote. "Tori died in an accident after losing her footing at Lands End around 6:30 p.m. this evening. We mourn her loss and ask you to pray for her entire family and friends." St. Ignatius will be sharing resources to support students and families in the coming days. Fire rescue crews responded about 6:20 p.m. to a report of a person over the cliff near the Legion of Honor, Fire Battalion Chief Denise Newman said. The incident took place near the Lands End Labyrinth, a scenic outlook that overlooks the Bay and the Golden Gate Bridge. The area is closed off with cable fencing and warning signs. 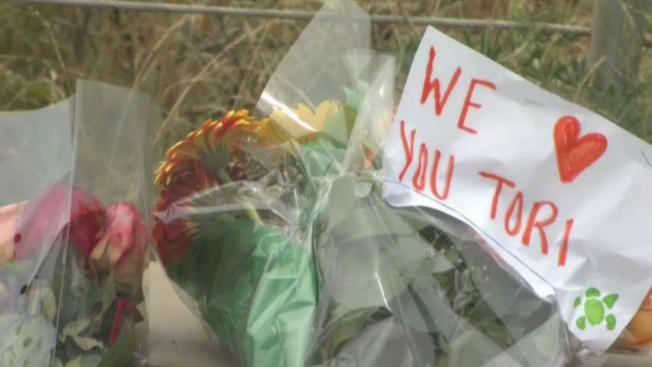 "This is a tragic incident and our convalescences are with the family and friends, but we really want to ask the public to adhere to the signage there," Sonja Hanson, a spokesperson for the Golden Gate National Recreation Area, said. Avid hiker Lori Luttrell said the area where La Rocca fell isn't easy to navigate. "A terrible tragedy," she said. "It's very scary. When I go through here sometimes I'm a little nervous." The teen apparently slipped over the edge and fell all the way down to the water, Newman said. She estimated the girl fell at least 50 feet. "When we arrived, we tried to get as close as possible, but there was a lot of terrain," Newman said. "Beach Patrol, which is the lifeguard at Ocean Beach, they had their Jet-ski and came on the water side and were able to find the victim." The girl was still breathing but in critical condition when rescuers reached her. She had suffered multiple injuries and fractures and had been in the water about 10 to 15 minutes, Newman said. The beach patrol transport vehicle took the victim to China Beach, where an ambulance was waiting. Once in the ambulance, however, the victim was pronounced dead, Newman said. The coroner's office said no additional information will be released until the office completes its investigation with the U.S. Parks Department.